In the article, we trot through the Making of Ariel’s #ShareTheLoad – the movement which has made men think equally and put the spotlight on the much-raved issue of Gender Inequality. 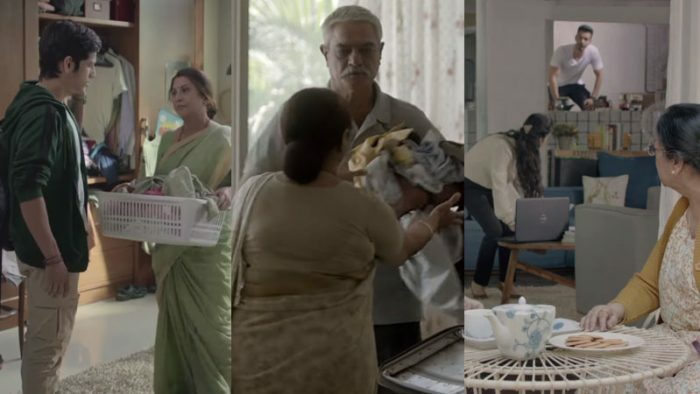 Is Laundry Only A Woman’s Job?- A question that took the face of a revolutionary movement is a brainchild of the P&G owned Ariel who teamed up with Mediacom and BBDO India to bring to us the masterpiece. Who would have thought a laundry detergent brand would go on to burst stereotypes surrounding women and their responsibilities adhering to societal norms. Ariel has been unearthing the reality of inequality within households since 2015 with #ShareTheLoad. With the thought process to address equality, aspiring for happier households where men and women share the load equally, Ariel weaved its novel insight in the form of series of digital films raising pertinent questions that made the audience think, introspect and act. Later in 2016, with ‘Dads Share The Load’ movement, the conversation was aimed at unearthing the reason for the disparity, which is the cycle of prejudice passed down from one generation to the next. Cut to 2019, when Ariel set out to reignite conversations on household inequality, this time focusing on the ‘ghar ka beta’ with Sons #ShareTheLoad, we could not help but traverse through the campaign journey which is no less than a monumental one. “The journey has been phenomenal. 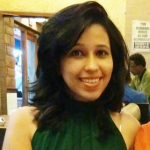 More men today are sharing the load than ever before,” exclaimed Sonali Dhawan, Marketing Director, P&G India, and Fabric Care. Despite progress, more work is still to be done. Ariel continues to address the issue of Gender Inequality within households and has thus launched their third season of #ShareTheLoad because, with Ariel, anyone can get impeccable cleaning no matter who does the laundry! A survey by an independent 3rd party in 2018 also revealed that seven out of ten women* in India reconsider additional responsibilities at work in order to balance the responsibilities at home. With the belief that mothers have a strong empathetic point of view, Ariel urges this generation of mothers to raise their children as a generation of equals by asking a yet another pertinent question: “Are we teaching our sons what we have been teaching our daughters?’ If not taught to #ShareTheLoad, the sons of today become the husbands of tomorrow, who may not be prepared enough to be equal partners. With Sons #ShareTheLoad, Ariel urges mothers to be the changemakers of the society and hence relook at the way they raise their sons. “We were looking for a deeper message. We wanted to realign ourselves with the evolved cultural context. The society today is not the same as it was 2 years ago. Similarly, family and couple dynamics are not the same. ,” shared Josy Paul, Creative Director, BBDO. So, the team had to root themselves in the reality of TODAY. He added, “We had to take the communication forward from where we left it off last time. And hence, we felt the need to showcase a change being brought about.” The brand and the creative team were seeking to tell all families, that if one can bring about a change, so can you. This led to them choose to focus on the Mother-son relationship. The son is shown at the very impressionable age, where he forms not just opinions, but also value systems that will guide him for life. And the sons of today, become husbands of tomorrow. The movement going forward will have more elements to help drive behavioral change in the area of laundry. It’s all very exciting, according to Paul. Since 2015 Ariel has encouraged Indian men to help in household chores. After sparking the conversation, it introduced Share the Load 2.0 where we uncovered that it’s the conditioning that leads to this inequality, with the Dad’s apology film. Laundry here is the face of the movement and with Ariel, anyone can get the best results no matter who does the laundry. When thinking of the next leg, the brand realigned itself with the evolved cultural context of current times. “Ariel will continue to strive for happier households, where men and women share the load equally, she asserts. Also, sharing a personal anecdote that led the creative team to weave this piece of creativity, Paul informed, “Recently, my son returned from abroad during holidays, with bags full of uncleaned clothes. It surprises my wife so much that she decided that she will teach him how to do laundry so that he doesn’t carry excess baggage each time around. It is happening all around us. This is an awakening of sorts, for us as parents to bring up our children in a balanced way so that they are capable of being equal partners tomorrow who #ShareTheLoad”. Paul thinks that true success of a movement like a #ShareTheLoad is when the thought creeps into the pop culture and day to day lives. Meanwhile, Paul opined, “It’s about conversations, not monologues. So, digital is the way to go.” The brand claims to touch all those platforms where we can target mothers and sons of today and have a 360 coverage of the campaign. Since 2015, Ariel has been an advocate for the women and has continued to raise pertinent questions. We have had men from across the country pledge to share the load – and we see it in the numbers too – In 2016, 63% married men thought household chores are a woman’s / daughter’s job and ‘outside’ work is man’s / son’s job. In 2018, this number has dropped to 52%. “It’s not just a regular campaign, it’s a movement for social change. By raising a mirror to society, the brand is seeking a better world where there’s equality within the household and hence happier households,” quipped Dhawan. There is change happening, and Ariel is proud to be at the forefront of it. More men today are sharing the load than 4 years ago, and this is just the beginning. The digital films have managed to rake in 3 million views on Youtibe and huge number of shares on Facebook along with other social media platforms. However, it is worth noticing that almost 50% of the male population still thinks atht household chores is a woman’s job. Which brings us to questions the existence of ground level impact that the campaign promises to bring in- are the ample number of shares and views testimony to bringing about a social change or there still more needs to be done.